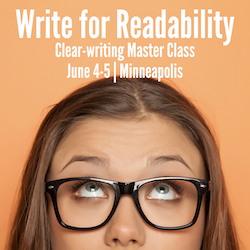 Improve your readability score with these free tools - Wylie Communications, Inc. The first step in managing readability is to measure it. 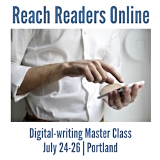 Fortunately, digital tools make taking stock of your message’s readability easier than ever. Everyone benefits from more readable copy, according to new Nielsen Norman Group research — including CEOs, surgeons, engineers and other highly literate people. Allow me to introduce your new best friend and writing assistant: Microsoft Word’s Readability Statistics. This handy device is probably already on your computer, although you might not be aware of it. Whether you’re writing content marketing or PR pieces, you can use Readability Statistics to track and manage the clarity of your communications. PC users: Go to File > Options > Proofing > Click “Show readability statistics” box. Once you’ve turned Readability Statistics on, every time you run spelling and grammar check, you’ll get a box displaying a wealth of information about the readability of your message. The fastest way to improve your score: Reduce the number of syllables per word and words per sentence. Those, according to 130 years of readability research, are the top two predictors of readability. Plug in a chunk of copy, and STORYToolz will deliver a wealth of readability information — 34 pieces of data in all, from the words you use to start your sentences to the number of “to be” verbs. Reading levels: You’ll get eight readability test scores, from the Automated Readability Index to SMOG (Simple Measure of Gobbledygook). Most measure how easy it is to read and understand your message. Sentence length: You’ll find everything from words per sentence to characters per word in this section of STORYtoolz. Word usage: Here, you’ll be able to: 1) Turn polysyllabic words into small ones; 2) Strengthen weak verbs; 3) Reduce the number of words that link phrases into long sentences; 4) Clarify confusing words. Sentence beginnings: Subject-verb-object sentences are the most readable. Make sure most of your sentences to start with a noun, followed almost immediately by a verb. WWHD? How would Ernest Hemingway, the master of tight prose, handle, say, your annual report? Unlike Readability Statistics and STORYtoolz, the Hemingway App also offers suggestions for making your copy clearer. Having trouble finding that passive sentence? Let Hemingway find it for you. Datayze’s Readability Analyzer estimates the readability of a passage of text using the six readability metrics, including the Flesch-Kincaid Reading Ease, the Gunning Fog Index and Fry Reading Graph metrics. I’ll be honest: I don’t trust the analytics on this one. But I do love the extra support. Only have five minutes? Plug your copy in and click paragraph-level readability. Sort by descending difficulty, and you’ve got your readability to-do list, from worst offender to is-that-really-worth-my-time? I’m also nuts for the Difficult and Extraneous Word Finder, Passive Voice Detector and Site Thin Content Checker. Make every message more readable. Even highly literate readers understand better, read faster and enjoy more highly readable messages. These four tools can help you hit readability targets to serve your readers and your organization.